Founded in 1848, Phi Gamma Delta is a men’s social fraternity represented on 138 campuses throughout the United States and Canada. 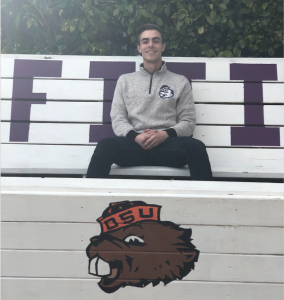 Chartered on December 30th, 1921, the Kappa Omicron chapter of Phi Gamma Delta is continually among the best fraternities at Oregon State University. 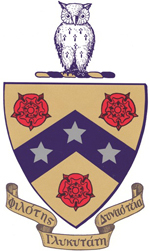 Having won 4 Brennan Cup awards since 2001, awarded to the most outstanding fraternity at OSU, Phi Gamma Delta, also known as FIJI, has proved to be an outstanding influence on the men who have joined her ranks. Based on the principles of Friendship, Knowledge, Service, Morality, and Excellence, FIJI prides itself on developing leaders who contribute to the community throughout their lives. 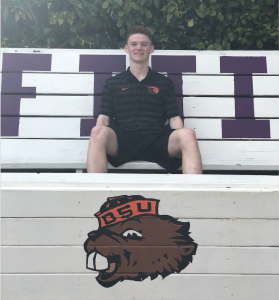 While our past accomplishments are something to be proud of, Phi Gamma Delta always strives to improve as a fraternity, ensuring that our members not only have an enjoyable experience while at Oregon State, but also preparing them for life after college. To find out more about our International Fraternity click here. The Kappa Omicron Chapter of Phi Gamma Delta fosters an environment where enduring friendships encourage, enlighten, and motivate individuals to realize their personal and academic potential.